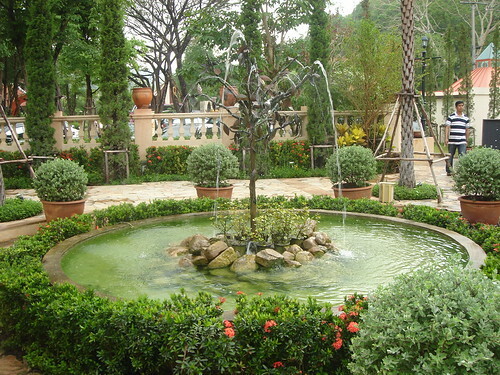 Palio is an Italian style village located in Khao Yai. It’s about 10 km from the main gate to the park, or 25 km from Pak Chong. The parking isn’t very big and this village is located directly on the main road. You will find a lot of people taking pictures. It’s a touristic attraction, with some shops, but it isn’t so big. You will find few shops selling natural products, or post cards, or t-shirts. One of the vineyard sells his wine there. 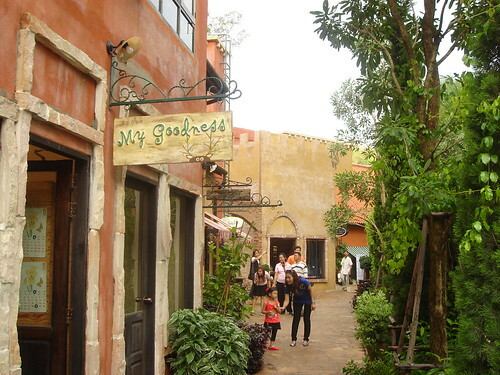 The main attraction is the village itself, with colored houses and nice gardens. It will take you less than one hour to see all that has to be seen. The owners are the same as primo posto. Primo posto is about 4km away, but even smaller. There are some restaurants but not a lot. Two or three places sell “gelato”, this Italian ice cream. Some shops are still empty and new ones should open soon. This is a small bar in a corner. 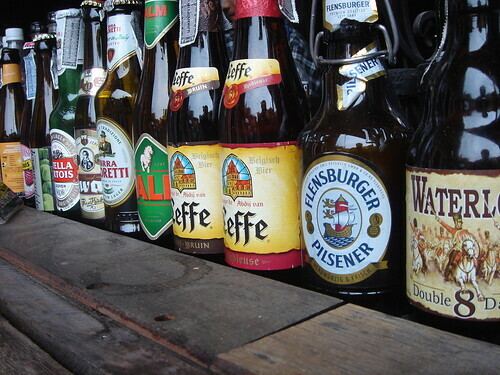 It sells a variety of German and Belgium beer, for 200 to 300 baht. This is some of their brands. There is also a small place selling English pies!! !